There is an almost palpable hunger for drones these days with everyone turning to the sky either as a hobby or for something more. The market for drones is teeming with manufacturers from all around the globe, each one promising you, the consumer, the best quality. With all those drone manufacturers and their array of drone models available at the tip of your fingers, how can a beginner such as yourself possibly find the best one to suit your skills? Here is a possible solution: choose a Blade quadcopter. You may have noticed the brand Blade in your previous search for your first drone. It is a popular manufacturer of quality drones of basically every type. Distributed by Horizon Hobby, a company based in North America, Blade is a trusted brand by hobbyists and professionals. 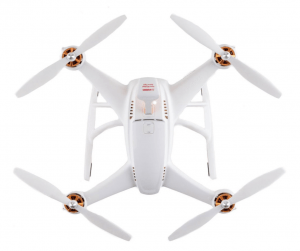 The Blade quadcopter line of drones is particularly prevalent in the casual flying and racing scene. As an entry level drone, a Blade quadcopter is fully capable of showing you just how much fun and easy piloting can be. With this drone, you will be conquering the skies in no time. Blade is known for their wide and inclusive assortment of drones. Single rotor, multi-rotor, tricopter, quadcopter, fixed wing, RTF, BNF, ATF, toy drone, camera drone, racing drone – you name it, Blade has it. With such an extensive list of drone models, you will have no trouble picking out your preferred type. Plus, prices for Blade drones vary. There are pricey drones you can invest in but there are also low priced ones you can get if you are not ready to spend too much on a single drone just yet. But what really cements Blade drones as beginner friendly is the exclusively engineered SAFE tech in every model. SAFE, Sensor Assisted Flight Envelope, technology is an advanced feature that will help you learn how to fly. 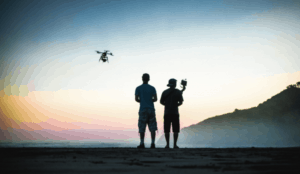 The SAFE guides you on how to manoeuvre your drone safely and steadily. SAFE offers a flight envelope protection at the push of a button. Not to be confused with autopilot, this revolutionary technology will only assist you in flying without taking full control of the vehicle. Specially designed multi-axis sensors are installed to make sure you avoid crashing your drone. With the SAFE tech, learning how to fly is simple. There are three flight modes to choose from depending on your skill level: Beginner, Intermediate, and Experienced. In Beginner mode, your drone will have stability assisted takeoff and landing to help prevent any accidents. Pitching and rolling are limited so your drone will fly steady. There is also a self-leveling feature that will keep your drone properly airborne. Intermediate mode is for those who have gotten a bit more confidence in their piloting skills. Not as limiting as Beginner mode, this mode will only prevent you from flying outside the SAFE’s training envelope. Finally, for skilled flight masters, Experienced mode offers no limits on your pitch and roll angles. You can easily perform aerial acrobatics in this mode. To help you narrow down your search for your first drone, we have compiled a list of the most sought after, reliable beginner Blade quadcopters. This first Blade quadcopter is especially perfect for beginners who want to have a little fun in the air. 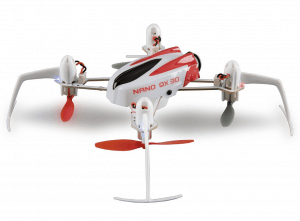 The Blade Nano QX 3D Ultra Aerobatic Micro Quadcopter is durable and easy to fly. 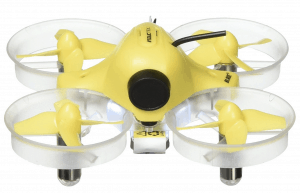 This little drone is designed for expert manoeuvrability with the simplest commands. Whether it is aerial flips, hair pin turns, and reverse flight, novice pilots can do it all with this drone. Indoor flight is no problem for the Nano QX 3D. Its SAFE tech and blade guards assures you that it is safe and easy to fly in any room. Incredibly lightweight yet made of tough and durable material, this micro quadcopter can survive crash landings. So, beginners will not have to feel too nervous on your first flight. You can even flip the Nano QX 3D in 180 to 360 degree turns without having to punch in complicated commands. The Nano QX 3D is made for wowing an audience with aerobatic tricks. The colourful LED lights not only make for easy orientation but also for a spectacular light show when you are doing flips. It should be noted that the Blade Nano QX 3D is an upgraded model of the Blade Nano QX. A small but powerful Blade quadcopter with a built-in HD camera, the Blade 180 QX HD will appease both your fascination for flying as well as your love for photography and filming. 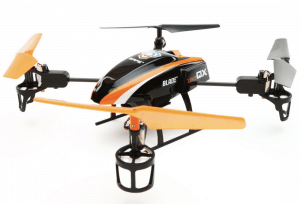 This Blade quadcopter is compact enough to be safely flown indoors but sturdy enough to also be piloted outside. You will not regret investing in this advanced drone. The Blade 180 QX HD’s E-flite EFC-721 camera offers a high definition video and photo quality from above. Activating the camera is also super easy. This means you will be able to capture precious moments with your friends and family at all times with this Blade quadcopter. Besides the signature three flight modes of the Blade 180 QX HD’s SAFE tech, this drone also comes with high angle and low angle modes. These will allow you to take stable photos and videos. The intuitive HD camera can even let you switch easily from video recording to still image capture. This Blade quadcopter also comes with an agility mode for pilots who want to do a few aerial tricks or just want to play around with the drone. Though a bit pricey for a beginner drone, the Blade 180 QX HD has enough extra features and overall durability that justifies its hefty price tag. 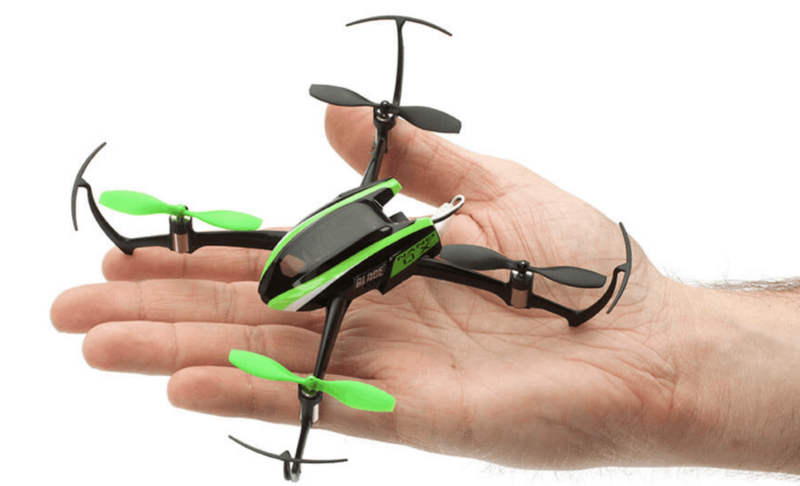 This tiny Blade quadcopter is guaranteed to give you a new perspective of the world. The Blade Industrix FPV is no bigger than the palm of your hand. But, this Blade quadcopter is jam packed with features and capabilities that make it the ideal entry level quadcopter for everyone. The small but durable Industrix has a built in FPV camera, fully capable of recording videos and taking photos. And with the Blade’s distinct SAFE tech, you won’t have to worry about blurry shots or images. Flying this adorable drone indoors is easy too and its size and shape allow it to reach hard to reach places that just is not possible with larger drones. The Industrix FPV uses ducted fans instead of the typical propellers so it flies quieter and stealthier. This Blade quadcopter also has mindful safety features. The tough fan guards that completely envelope the rotor also make sure that no one will be injured in the event of an accidental crash. You can even catch this quadcopter by hand without risking getting cut by the spinning blades! Besides recreational flying, the Industrix is also great for drone racing. That is right, do not be fooled by its size. Its high performance motors allows for agile flight and the drone itself is versatile enough to handle any type of racing course. It is fast, compact, super fun, and very affordable. 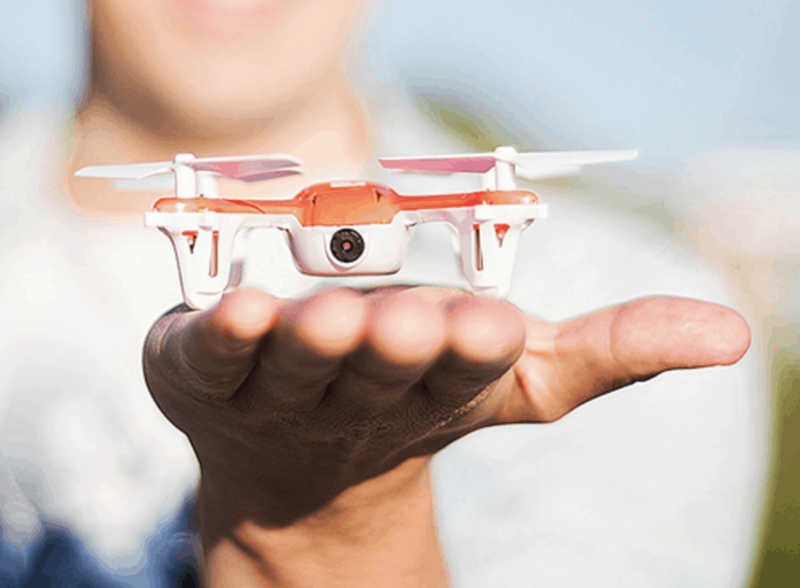 Start your drone flying career with this tiny technological marvel! Hailed as one of the easiest quadcopters to fly, the Blade Pico QX Quadcopter could definitely be your dream drone. 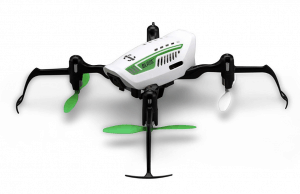 This Blade quadcopter is nice and compact, great for outdoor and indoor flying. Although it does not come with a camera, it is incredible aerobatic and versatile. You can perform flips and turns effortlessly, even if you are still new to drone flying. The installed SAFE tech makes learning to fly the Blade Pico QX breeze. More of a toy drone than anything, beginners will thoroughly enjoy flying this tiny quadcopter. With its safety features and durable propeller blade guards, you will be flying this little Pico QX like an expert in no time. It is also cheaper than most bigger drones so anyone can afford it. If drones appealed to you specifically because you are interested in aerial photography and filming, the Blade Glimpse is an excellent camera drone to start with. The Blade Glimpse comes has an HD camera with 1.0MP and can take 1280 x 780 resolution videos. Besides the typical FPV (First Person View) you can live stream on your laptop or on your smart device, this Blade quadcopter also offers a Team View. Just as its name implies, more than one person can view your drone’s live stream. Just download the free Glimpse app (available in Google Play and the App Store) then you can connect more than one smart device to your drone’s feed. The Glimpse may have a lightweight frame but is quite tough and sturdy. This Blade quadcopter has an intuitive design intended for aerial photography. The rotors don’t obstruct the lenses because they are are located far from the camera. Furthermore, this Blade quadcopter is built for safety as well. The plastic prop guards on each rotor keep the propellers safe from damage as well as avoid injuring anyone that comes close to it. Finally, we saved the best for last. The Blade Chroma Camera Drone is widely considered as the best Blade has to offer. It is also infamously known as one of the most expensive drones in the market. So, if you are really game to start your drone flying hobby with the best of the best, the Chroma Camera Drone might be worth it. 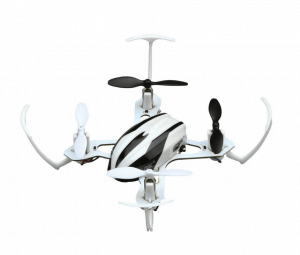 This medium sized Blade quadcopter utilizes the latest technological advancements and can be used for a multitude of purposes. Perhaps its more popular usage is as a camera drone. The Chroma’s built in camera is an absolute legend. High definition, 4k camera with 1080p resolution, you can take aerial videos and photographs like a professional with this quadcopter. Besides its high end camera, this Blade quadcopter is also designed to fly smoothly and steadily, allowing you to take crystal clear shots from up above. And with its SAFE technology, you can fly with precision without a lot of experience. It is also very durable and is resistant to damages that most drones would not be able to. The Chroma also has an impressive flight time of thirty minutes. Most drones have less than fifteen minutes of flight time so the Chroma is truly something special. With its shocking price tag and incredibly advanced features, this is not an everyday toy drone. This Blade quadcopter is more ideal for beginners looking to utilize their drone for professional use. Of all the types of drones, the quadcopter is by far the most popular among hobbyists and professionals alike. A quadcopter, to briefly explain, is a multi-rotor drone with four rotors. This design is said to be the perfect balance between simple enough to fly with only four rotors but stable enough to carry a certain payload. Quadcopters, simply put, have the right number of rotors that reduce the weight placed on each arm. Single rotor drones only have one large, unprotected propeller that could potentially lacerate anyone that comes close to it when it is armed. Controls are also more complex with drones of that kind. Meanwhile multi-rotor drones with more than four rotors can be difficult to maintain, especially with so many moving parts to consider. Quadcopters are typically designed to be safer, with pre-installed propeller guards gaining more and more popularity. They get easier to fly with every new model, case in point the Blade quadcopter line. And because of their popularity, they are relatively cheaper and spare parts are easier to find. Besides all of that, quadcopters have a versatility that just is not common in other drone types. You can find a quadcopter for recreational flying, photography, racing, and more. Quadcopters are also capable of aerobatic flight. Therefore, they are extremely appealing to kids who want to do tricks with a drone. With all that being said, a nagging question might still remain in your head: why fly a drone at all? Well, the obvious answer is simple. 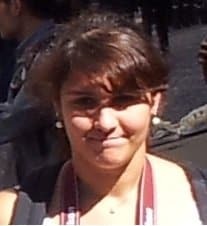 It is fun. Who has not dreamed of flying, right? However, for more pragmatic readers out there, there are some other practical advantages of flying a quadcopter too. 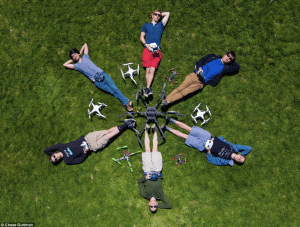 For one thing, drone flying can help widen your social circle. Drone flying is not the niche, uncommon hobby that it was a few years ago. There are people everywhere who love to fly drones. Finding them is easy once you get into the hobby. You can share your passion with countless others out there either online or in local drone clubs. Just like with any hobby, you can connect with others from all walks of life with your love for drones. You can also utilize your camera drone at work. Business, in particular, can seriously benefit from having a drone. You can take photos of the company’s products or whatever merchandise you promote. Marketing can gain from having a camera drone take aerial shots that are eye-catching and interesting. You will be able to get people’s attention with beautiful photos or videos you take with your drone. Let us also not forget how helpful drones can be in the world of journalism. Getting a bird’s eye view of an important event has helped reporters worldwide to give their audience a comprehensive view of the situation. Drones are crucial for taking photos of places that are hard or even impossible to reach. Aerial footage may not be a new thing but before drones, the only way reporters could get an aerial view of a certain location was from a helicopter. And, that had some serious limitations. With a drone, not only can a reporter broadcast a clearer shot of an event. But, they also will not have to require too high a budget to be able to get an aerial view. Speaking of photography, family outings will be so much more exciting with a drone. Kids will adore the flying vehicle and even adults will be impressed by that incredible piece of technology. You will capture bonding moments from a whole new perspective. When you will look back on that outing from the shots and videos you took with your drone, you will marvel at how extensive the memories you’ve saved will appear. In addition, you will appreciate the time you spend with your loved ones even more. And even if you just see drone flying as a hobby, you are doing so much more than just piloting a highly advanced flying machine. You are also learning about aviation and aerodynamics, perhaps without even realizing it. Drones, even the ones specially designed for easy flying, require some understanding of aviation and physics. You might have not expected to ever learn about those subjects. But, if you get into drone flying, you will learn so much more than you bargained for. What’s more, you will have a lot of fun while learning too. 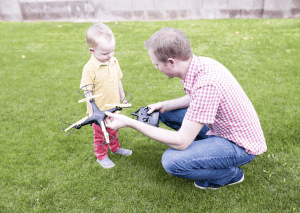 You might even consider recommending your children to play with drones. They will practice their motor skills and learn a thing or two about science and technology. Of course, you will want to give them a lower priced toy drone. Kids, even under strict supervision, are not the most careful drone pilots. So now that you are positive you want to buy your very own quadcopter, you might still be a little unsure what you will need to look out for. With all those drone models and types out there, it is understandable to be a little overwhelmed. Here is just a quick list of important drone features to consider before you purchase a quadcopter. Generally, there are four sizes a beginner such as yourself can choose from: large, medium, small, and nano. It is advised to start with a small or a nano drone since they are often more affordable and easier to fly. However, if you do choose a small or nano drone and want to fly it mostly outdoors, make sure that its motors are strong enough to handle the elements. Some nano drones are too lightweight for outdoor flight. There are those that can be blown away by the wind. Medium and large drones are mostly for outdoor use and are perfect if you mostly want to dabble in aerial photography. As things stand, most drones have an average flight time of ten minutes. Small and nano drones have even shorter flight time. That is why it is widely encouraged to buy spare batteries. So you will not have to spend your entire piloting experience waiting for you battery to finish charging. There are quadcopters in the market that have batteries that can last for twenty to thirty minutes but they are more expensive. The upside is that although a single battery will give you seven to ten minutes of flight time, charging them to full will not take too long. Usually you can charge a drone’s battery for an hour or so. Some models even only need twenty minutes to finish charging. What you want to really look for is a drone with a nice, brushless motor. This type of motor might cost you a bit. But it is definitely worth it. 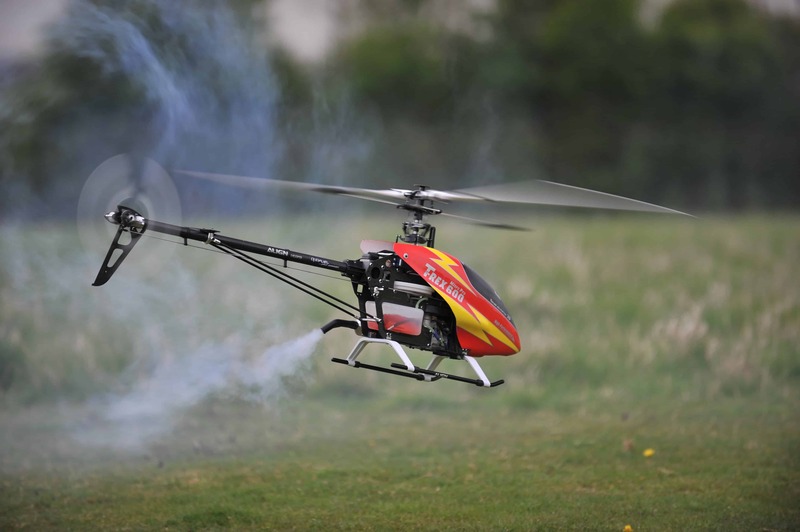 Brushless motors offer faster and more reliable flying. They are efficient and are quieter than ordinary motors too. You will easily learn how much of a difference a well made, high quality brushless motor can have on a drone. If you are actively looking for a quadcopter that will fulfil your dreams of taking videos and photos from the sky, make sure that the camera that it is equipped with is of good quality. Of course, high end camera drones do not come cheap. There are countless standard quality camera drones out there but a quadcopter with a 4k camera is going to seriously cost you. Unless you are going to use your camera drone for business (or if you can afford it), it is recommended to start with quadcopter with a regular camera. Lastly, you will have to consider how durable your drone is. No matter how careful you might be, drones are prone to crash or get into an accident at some point and some drones are more resistant to damage than others. Make sure your drone can survive at least minor crashes. Also, it would not hurt to look up on how to do basic drone repairs in case of an accident. Stocking up on spare parts is absolutely important. That’s it. Hopefully, you guys learned a thing or two about Blade quadcopters. We really hope to see you again in our next guides. But before you go, you might find our other drone-related articles helpful. Be sure to check them out. See you soon!